31/10/14. Erbil, Iraq. 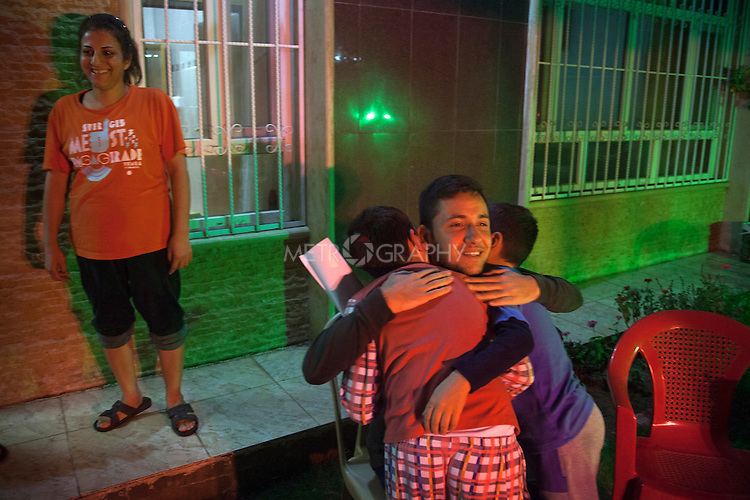 At the end of the farewell party Wassam (left) and Milad (right), hug Willaim, a family friend, as they say goodbye to him.